Last year, I blogged about “Good Luck Soup“, a film and transmedia project seeking crowd-sourced funding. I’m delighted to hear today from project founder Matthew Hashiguchi that after raising over $15,000 from the community, “Good Luck Soup” is now live at GoodLuckSoup.com. The project’s name comes from “a traditional Japanese soup containing a variety of mochi, vegetables, and seafood that is served with friends and family every Oshogatsu, or New Years Day, to ensure a year of prosperity and good fortune”. 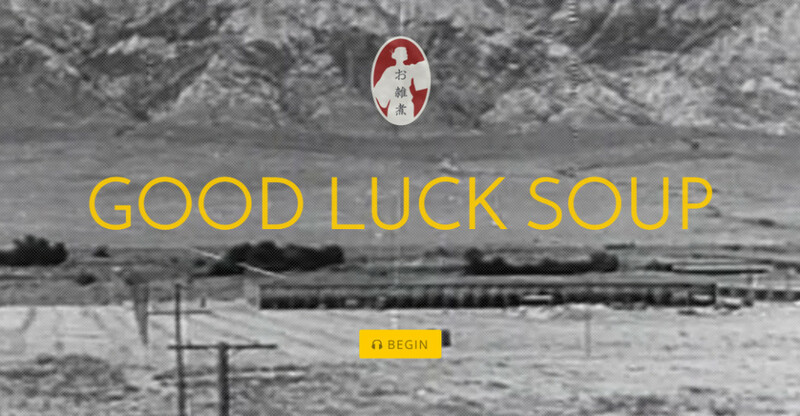 “Good Luck Soup” seeks to create a digital version of good luck soup by collecting and documenting the Japanese American and Japanese Canadian experience before, during, and after World War II for future preservation and inspiration.